What’s stopping you from having a conversation in Italian? Maybe you’re afraid of trying out the phrases you’ve learnt because you might not understand the answer. Or you’re worried about long awkward silences when you forget a word or a bit of grammar. Or maybe you’ve tried to have a conversation with an Italian, but she replied in English! These are all examples of how communication breakdowns (or fear of communication breakdowns) can stop you from practising speaking Italian. But with the right strategies, they don’t have to! 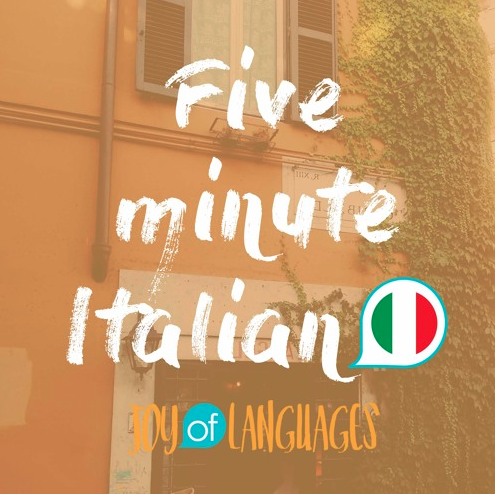 Learn 6 essential phrases to get past communication breakdowns and keep the conversation going in Italian in episode of 54 of 5 minute Italian. Come si dice questo in italiano? = How do you say this in Italian? Non ho capito. Che cosa vuol dire? = I didn’t understand. What does it mean? Possiamo parlare in italiano? Vorrei imparare = Can we speak in Italian? I’d like to learn. Adesso, vi vogliamo invitare a una lesson di italiano sabato prossimo = Now, we’d like to invite you to an Italian lesson next Saturday. Vi vogliamo invitare = We want to invite you (plural). K: In today’s lesson, you’ll learn 6 conversation phrases in Italian to help you avoid awkward silences and keep the conversation going. 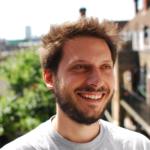 We’d also like to invite you to a live online Italian lesson next Saturday, so make sure you stick around until the end to find out how to join. For now, let’s learn the conversation phrases. Numero uno! M: Come si dice “questo” in italiano? K: How do you say this in Italian? Or literally “how does one say this in Italian” (Italians speak like the queen sometimes). K: This was my trademark phrase when I moved to Italy. For example, in a bakery or on a menu, you can point to something and ask “come si dice questo in Italiano?”. Not only is it a great way to learn new words but it’s also a great conversation opener – when you pose this question to friendly waiters, bakers etc. (there are lots of them in Italy! ), they often appreciate your curiosity and will carry on having a little chat with you. M: If there’s nothing to point to, you can say the word in English. For example, “come si dice chair in Italiano?”. Even though you say the word in English, the fact that you ask the question in Italian makes people more likely to keep talking to you in Italian. M: Che cosa vuol dire? K: What does that mean? To be used when you see or hear a word, but you don’t know what it means. M: Scusi, non ho capito. K: Sorry, I didn’t understand. This is with scusi, the formal “excuse me” that you can use with older people and staff in hotel receptions/fancy restaurants etc. With people you know, or with younger staff in informal situations, you can use “scusa”. M: Scusa, non ho capito. M: Non ho capito. Che cosa vuol dire? K: I didn’t understand. What does it mean? M: Potrebbe ripetere per favore? K: Could you repeat please? K: For the informal, swap “potrebbe” with “puoi”, which means “can you”. M: Puoi ripetere per favore? K: Can you repeat please? M: Potrebbe parlare più lentamente per favore? K: Could you speak slower please? M: Puoi parlare più lentamente per favore? M: Possiamo parlare in italiano? Vorrei imparare. K: Can we speak in Italian? I’d like to learn. K: So those were our 6 conversation phrases to help you manage communication breakdowns and avoid awkward silences in Italian. M: Adesso, vi vogliamo invitare a una lesson di italiano sabato prossimo. K: Now, we’d like to invite you to an Italian lesson next Saturday, where we’ll be showing you more authentic ways to keep the conversation going in Italian. 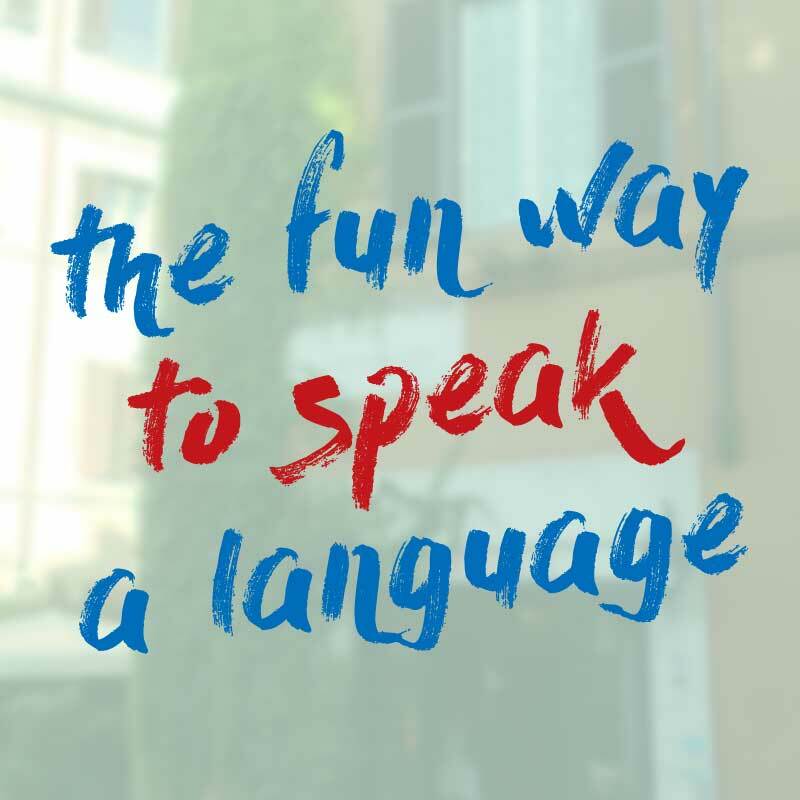 You’ll learn phrases that are hard to find in textbooks but that Italians say all the time, so you can use them to sound more fluent when you speak. We’ll be hosting it live in our Facebook group at 6pm in Italy, that’s 5pm UK time, 12 O’ Clock midday in New York or 9 AM in California time. To get involved, all you have to do is join our Facebook group by following the link in the show notes. Then on Saturday, when it’s time for the lesson, open the page and you’ll find us there, ready to start speaking Italian. M: Finally, time for some mini pronoun practice. K: Ah yes, did you notice the object pronoun earlier? K: We want to invite you. In Italian the “you” goes before the verb. And we’re using the plural you “vi”. Literally: you plural, we want to invite. K: That’s it for today, don’t to forget to join us for the live lesson on Saturday, you can get access by joining our Facebook group via the link in the show notes. If you’re listening to this after the 22nd September 2018 and you’re sad you missed it, go ahead and join anyway to get notified about future live lessons.